Titan Building Products Wood Post Anchor Kit 6" X 6"
Freshen up your porch or patio with smooth vinyl post wrap. 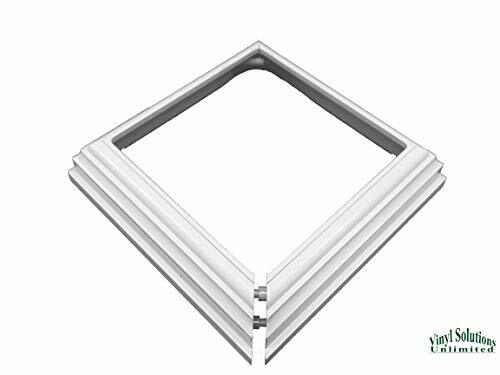 Perfect for installation over a new or existing wood posts, you do not even need to replace your wood posts. Installation is as simple as cutting the post wrap to length and snapping the 4 pieces together around the wood post. It may be cut down to a custom length on site if necessary. The 4 x 4 x 96 inch post wrap goes around a nominal wood 4x4 post (which usually measures 3.5 in. x 3.5 in.). True 4 inch x 4 inch x 96 inch vinyl post wrap | Can easily install around wood 4x4 post (which usually measure 3.5 in. x 3.5 in.) | Made in the U.S.A. The snug-fitting sleeve slides over a 4x4 post and is secured with a bead of caulk and some adhesive tape. A post sleeve can be used over the wood post and post flashing. Add a finishing touch to the bottom of a post. 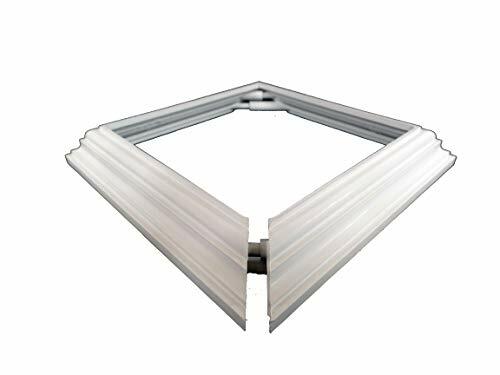 The easy-to-install post trim base arrives in 4 pieces so you can add to a new or an existing post for a clean look to your end product. 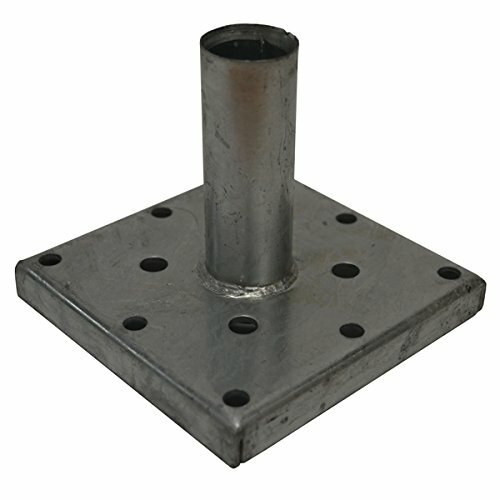 Internal post anchor for wood posts 5.5"to 6" square. Gives you a clean looking, rigid post to surface connection. Great for wood, concrete, composite, stone and other hard surfaces. Hot zinc galvanized finish. Good bye ugly wrap around brackets! The 4 x 4 x 48 inch vinyl post sleeve offers a clean and finished look while providing all of the benefits of vinyl. 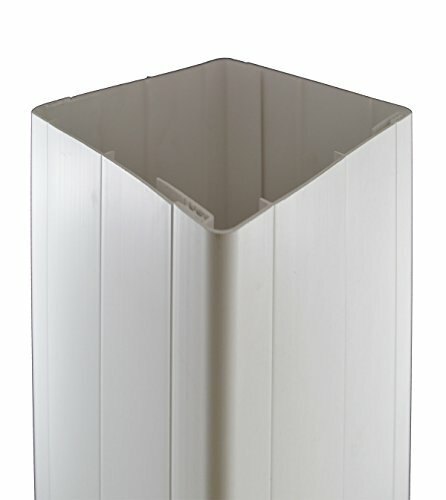 Made from premium quality vinyl, the square porch post is easy to install and is low maintenance. You will never need to paint, stain or sand this post sleeve. 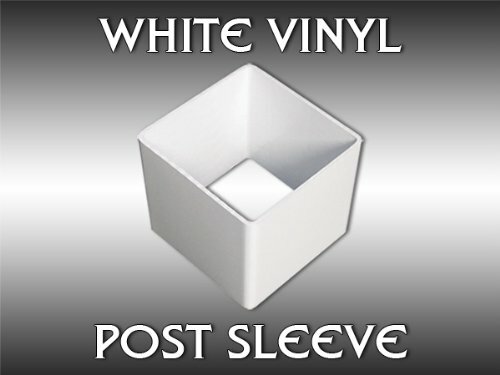 This vinyl post sleeve is compatible with any 4 in. x 4 in. post caps or skirts. The sleeve easily slides over a wood 4x4 post (which usually measures 3.5 in. x 3.5 in.) to provide a clean finished look. Each post sold individually. Please message us with any questions. True 4 inch x 4 inch x 48 inch vinyl post sleeve | Can easily slide over wood 4x4 post (which usually measure 3.5 in. x 3.5 in.) | Made in the U.S.A. 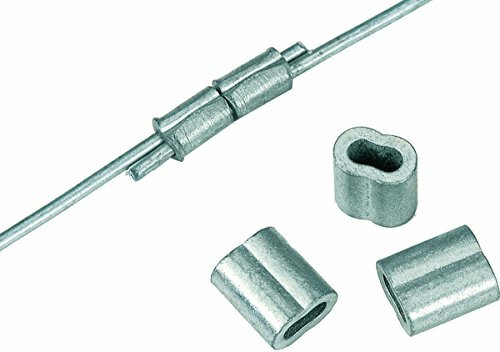 The Titan Galvanized Post Anchor Kit with Screws can assist in building a wood railing system on virtually any surface. 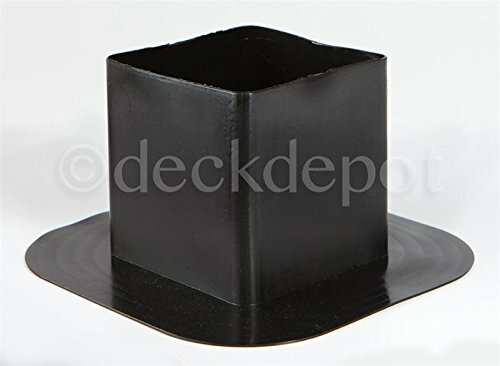 It is a non-engineered post anchor solution for use on decks or surfaces less than 30" above ground. The post anchors help keep the 6x6 raised off the floor of the surface to deter the posts coming in contact with standing water which will keep the posts higher and drier for longer life. The galvanized steel is black powder coated over hot dip zinc to give a great look for a long time. For best performance and ease of installation use with species ranging from cedar, spruce, redwood, pine, hem-fir with moisture content (m.c.) of 12%-20%. To comply with residential engineering guidelines, do not use any species with specific gravity (density) less than the lowest of the above recommended species. ACQ compatible. Hardwoods require a hole saw and forstner bit installation technique as the tube of the anchor can not be impaled into the wood easily. Max post spacing is 8 feet for 6x6 anchor. The 4 x 4 x 96 inch vinyl post sleeve offers a clean and finished look while providing all of the benefits of vinyl. Made from premium quality vinyl, the square porch post is easy to install and is low maintenance. 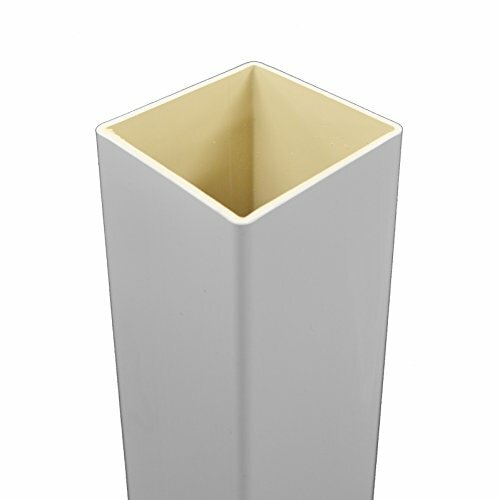 You will never need to paint, stain or sand this post sleeve. This vinyl post sleeve is compatible with any 4 in. x 4 in. post caps or skirts. The sleeve easily slides over a wood 4x4 post (which usually measures 3.5 in. x 3.5 in.) to provide a clean finished look. Each post sold individually. Please message us with any questions. True 4 inch x 4 inch x 96 inch vinyl post sleeve | Can easily slide over wood 4x4 post (which usually measure 3.5 in. x 3.5 in.) | Made in the U.S.A. Projects using Cable Rail infill on wood railing frames with structural posts spaced more than 3 feet apart need an intermediate picket to help maintain cable spacing and minimize possible deflection. The Feeney Intermediate Picket provides the perfect solution. NextStone composite Polyurethane is durable and a certified Green product and come with a 20 year warranty! 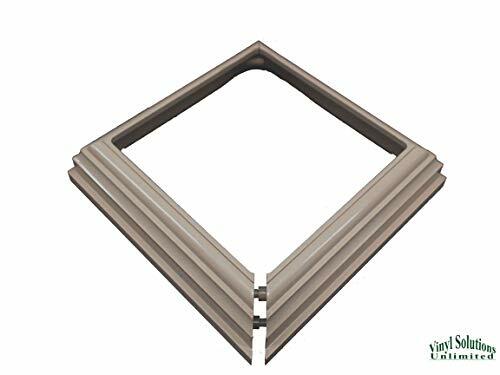 Decorate deck posts, fence posts or any yard feature with NextStone Slatestone Faux Stone Post Covers. 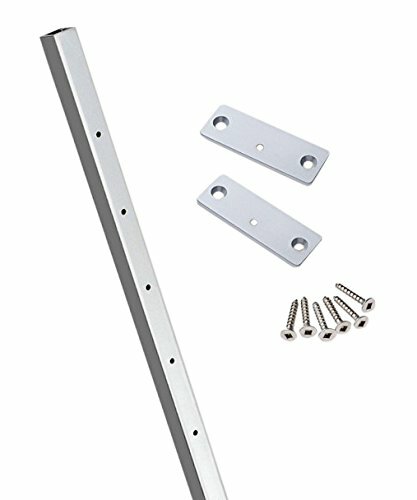 These 1pc Post Covers easily slide over the post and are secured with screws. Actual inside dimensions of Post Cover: 5 1/2" x 5 1/2". Color may vary from actual product. Consult samples for accuracy. 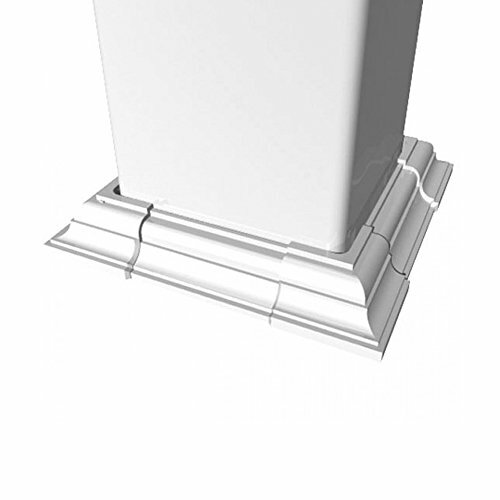 Lightweight Easy Install Faux Polyurethane Stone Post Cover Sleeve - Already Assembled! Fypon PVC resists rotting, warping, cracking, chipping and peeling. PVC also requires less finishing effort than wood and other alternatives. It never needs painting but may be painted to achieve the desired color - no sanding, priming or sealing needed. Fypon PVC offers the look and feel of traditional building materials with less maintenance. Eagle 6" Bumper Post Sleeve / Bollard Post Sleeve, 56" long easily trimmed for an exact fit, classic ribbed design - fits over a 6" NOT pipe. Timeless design for today's homes. 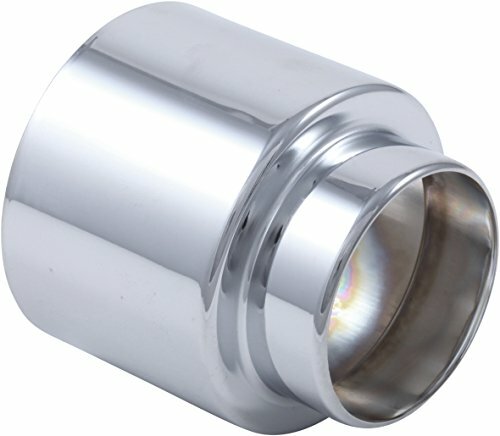 Trim sleeve in a chrome finish comes with a faucet and finish lifetime limited warranty. Have a small space that regular Deck-A-Floor Premium boards don't fit in. 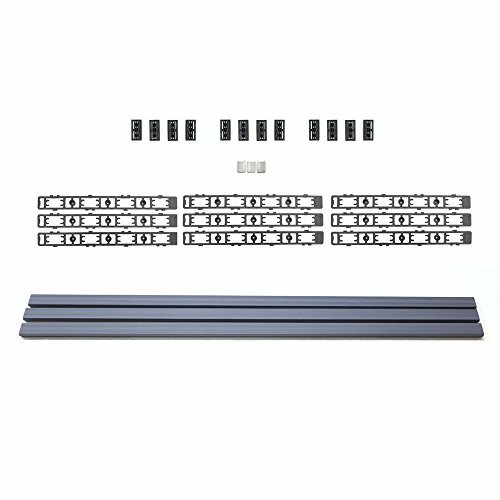 Don't worries we have you covered with Deck-A-Floor Premium Westminster Gray Trim Kit. This kit features a smaller board with a width of 1.5 in. this is perfect for filing in small spots. This can also be used as a nice accenting piece for your Deck-A-Floor Premium. Each box contains 3 sets of trim to cover 9 grid lengths. No need to paint and scrape, these bumper post sleeves make old bollard posts look like new. High-visibilty yellow HDPE construction with UV inhibitors resist fading, rusting or cracking. Eliminates annual maintenance while helping to protect vehicles and the post from impact damage. 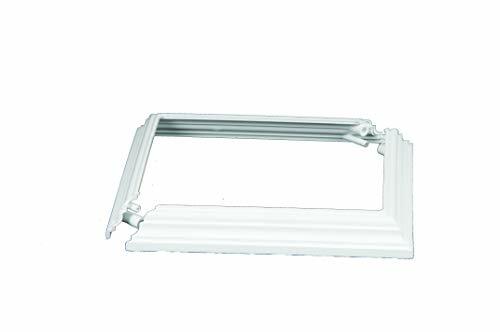 Unique vertical ribs provide extra impact protection while allowing for easy slide-on installation. Available to fit 6" NPT pipe size. Post sleeves may be easily trimmed for an exact fit. Measures 6-7/8" inside diameter by 7-7/8" outside diameter by 56" height. Red color. The column wrap can transform an ordinary post into a beautiful and elegant presentation for any style of home. Fabricated from our maintenance-free cellular PVC and available in 11 styles, fypon' s PVC column wraps provide classic style with today's performance. 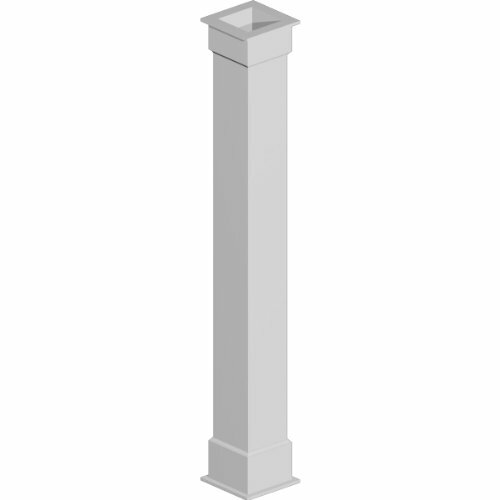 Elegant and easy to install around an existing structural support, fypon column wraps allow you to add the sophistication of traditional columns near the end of a building project - protecting columns from incidental damage on the job site. Our unique design makes installation a breeze, and all of our column wraps are sold as a kit with everything you need to complete your project. So, if you need to add a special touch to a new job or cover an existing eyesore, trust fypon to have the right product for your next project. Sleeves to Splice wires together. Sleeves fit 10-11 gauge smooth wire and 14-15 gauge barbed wire. Sleeves are size 3 & 4. Eagle 8" Smooth Post Sleeve / Bollard Post Sleeve, 56" long easily trimmed for an exact fit, new smooth design - fits over a 8" NOT pipe.